”My goal is that you will discover more about yourself than you do about money by the time you complete this experience. 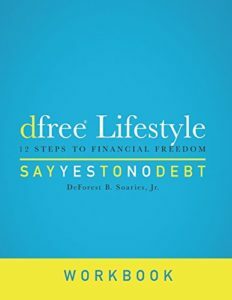 That is why I call it the dfree® lifestyle.” – DeForest B. Soaries, Jr. 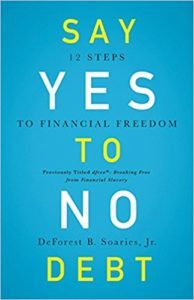 Author Dr. DeForest B. Soaries, Jr. shares vital keys to debt-free living in Say Yes to No Debt: 12 Steps to Financial Freedom, his book that features a groundbreaking, life-changing approach to debt elimination. 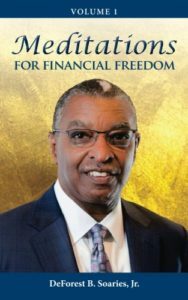 Using personal and Biblical stories and verses, Meditations for Financial Freedom (Vol. 2) is the second installment of a twelve-part series aimed at helping people who are attempting to attain and maintain financial freedom. 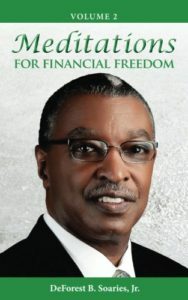 This book offers daily meditations that inform and inspire – make you laugh and make you cry – with reflections that walk through the books of The Bible and highlight concepts that address financial issues including saving, investing, retirement, employment, entrepreneurship and a myriad of subjects relevant to personal finance.